Recently I have been super interested in contouring. I love the dramatic difference it can make. I feel like I have tried nearly every product out there to find my all time favorites that really just work. Before learning about contouring, I honestly never really used blush... and when I did, it was pretty obvious I didn't know how to use it. (Click HERE for tons of beauty tips and tricks including contouring). Another issue I found was that none of the colors seemed to be just right. They were always a little to orange for my liking. I wanted to find something that was a little more rose colored and that looked a little more natural. After tons of trial and error, I think I have found some real winners. 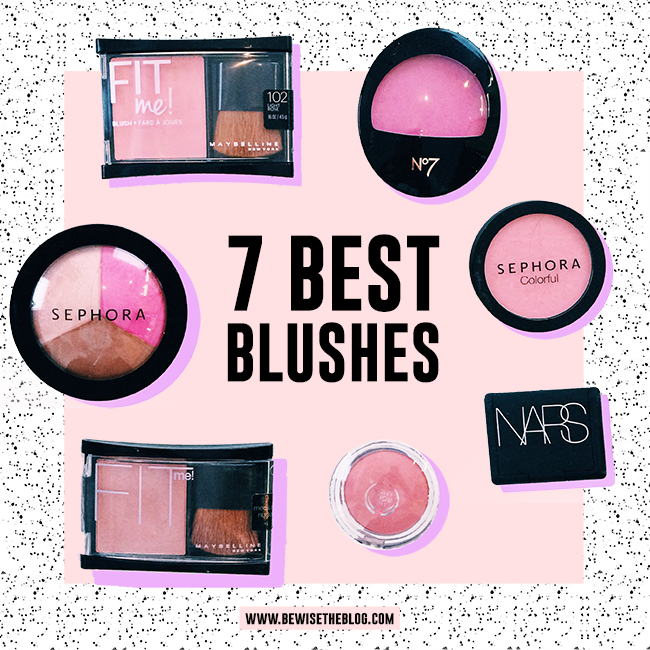 Here are my top 7 best blushes! Personally I like having more of a "pinkish" blush. All of these are exactly that. Number 3 from NARS is a little more warm than the others and has a bit of an orange undertone, but it doesn't look fake. It just looks like you have been sun kissed. Number 4 has been my "go-to" as of late. 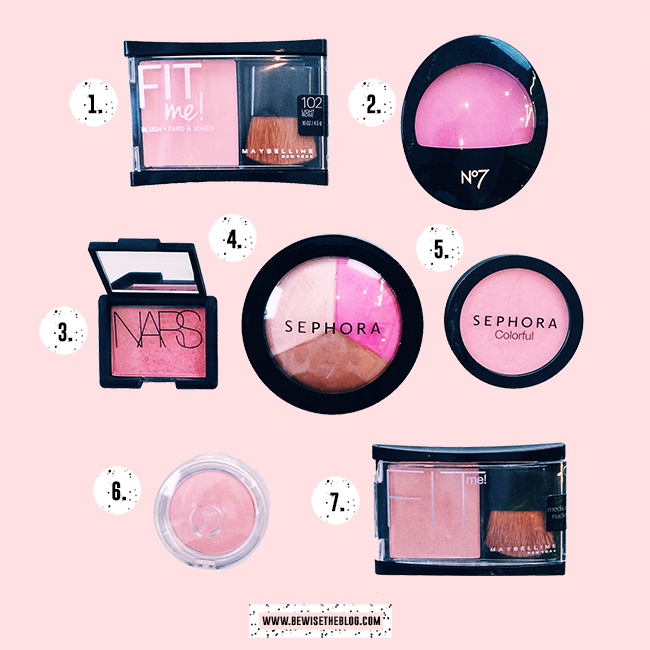 It has a blush, highlighter, and bronzer all in one! And they are fantastic! Below is a list and link to all of them. Let me know if you try any and what you think! What is your favorite blush?